Join the FCC for a sneak peek at The Party author Richard McGregor’s upcoming book on Sino-Japanese relations and the fate of U.S. power in east Asia. Entitled Asia’s Reckoning, the book is a compelling account of the widening geopolitical cracks in a region that has flourished under an American security umbrella for more than half a century. The toxic rivalry between China and Japan, two Asian giants consumed with endless history wars and ruled by entrenched political dynasties, is threatening to upend the peace underwritten by Pax Americana since World War II. Combined with Donald Trump’s disdain for America’s old alliances and China’s own regional ambitions, east Asia is entering a new era of instability and conflict. If the United States laid the postwar foundations for modern Asia, now the anchor of the global economy, Asia’s Reckoning reveals how that structure is falling apart. Speaker Bio: Richard McGregor was the Financial Times bureau chief in Beijing and Shanghai between 2000 and 2009, and headed the Washington office for four years from 2011. His book on the Chinese Communist Party published in 2010, The Party, was called a “masterpiece” by The Economist and won numerous awards in the US and overseas, including the Asia Society in New York award in 2011 for best book on Asia. He was a fellow at the Wilson Center in 2015 and a visiting scholar at the Sigur Center at George Washington University in 2016. 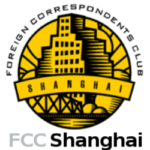 Price: 75RMB SFCC members; 150RMB non-members. Price includes two drinks and snacks.